This dense, fudgy cake topped with a generous sweep of thick milk chocolate ganache is best enjoyed on the sofa with a good film, strong coffee and warm blanket (I’m fantasising about this right now as the fluke sunny day we enjoyed last week is a distant memory and it’s currently blowing a gale). 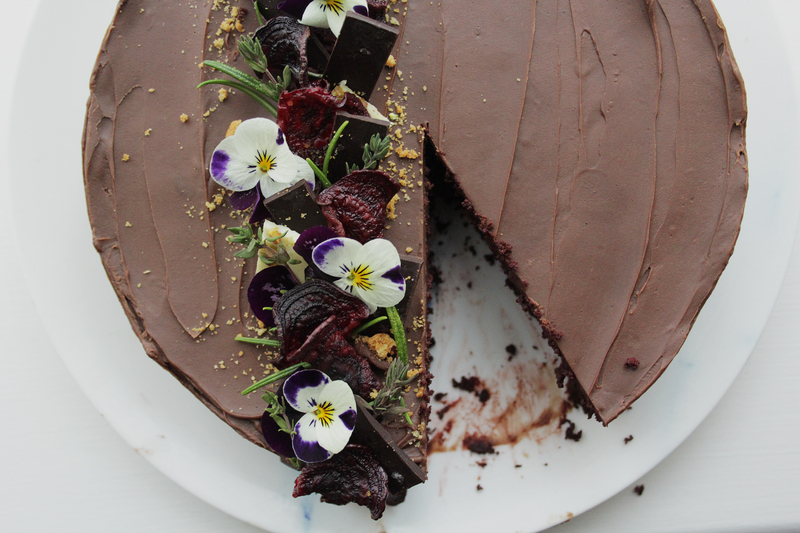 Don’t be put off by the beetroot- the earthy flavour mellows through baking and brings moisture and richness to the cake. Preheat the oven to 170c. Grease and line a 20cm cake tin. 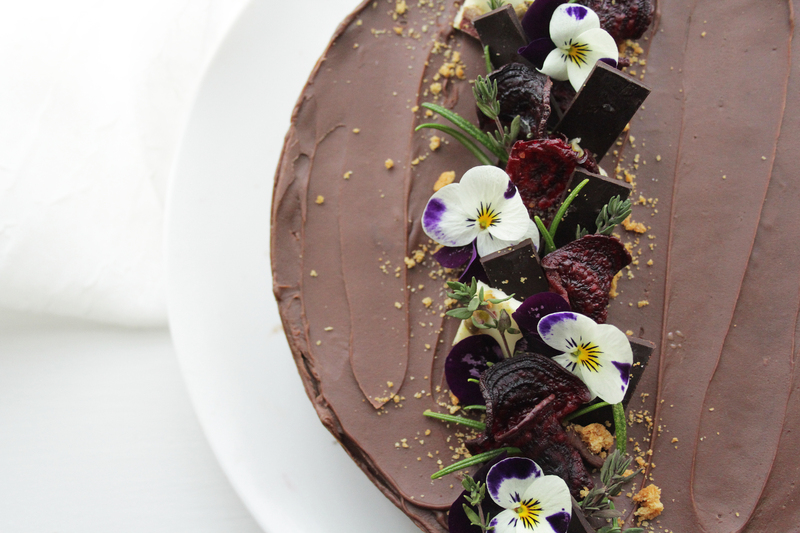 Place the melted dark chocolate, egg yolks, grated beetroot, caster sugar, ground almonds, baking powder and cocoa powder in a large mixing bowl. Stir together until combined. Put the egg whites in another bowl (or bowl of a stand mixer) and whisk, together with the salt, until they have formed stiff (but not dry) peaks. Add a large spoonful of the whites into the beetroot mixture and stir in to loosen. Add the remaining whites and carefully fold with a large metal spoon, ensuring you keep as much of the air in as possible. Once the mix is combined, carefully tip into the prepared cake tin (not from a height or you will lose some of the air you’ve worked in!). Level out the mixture then bake for 45-55 minutes, until well risen and a skewer comes out clean when inserted. 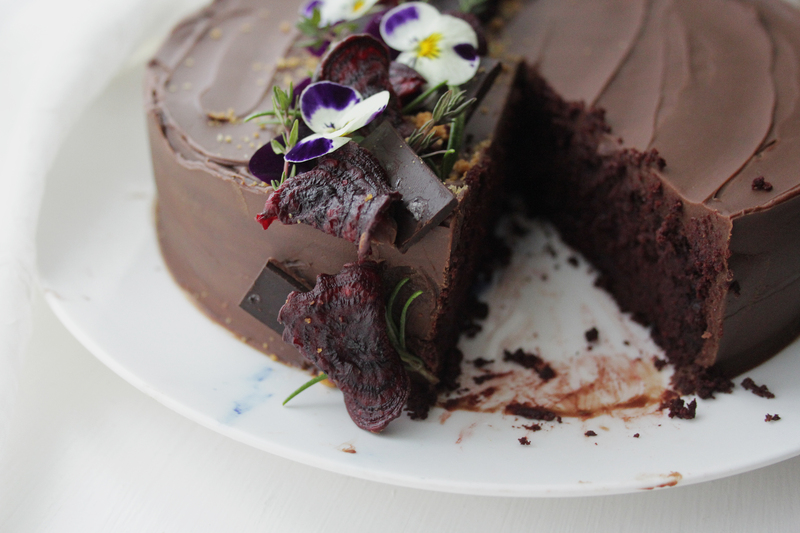 Set the cake aside and make the ganache. To do this simply chop up the chocolate and transfer to a bowl, then heat the cream to just below boiling and pour directly onto the chocolate. Leave to melt for a couple of minutes then stir together until smooth and glossy. Leave to cool. 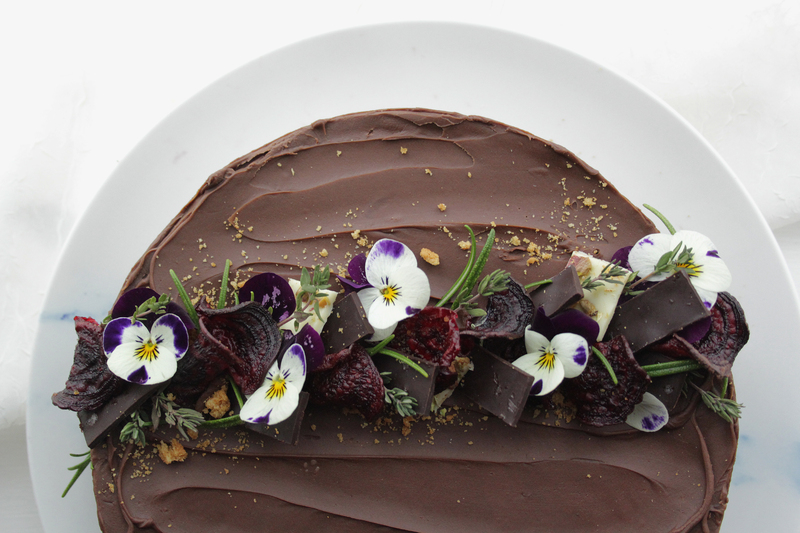 Once everything is cool, cover the cake in the ganache and decorate as desired. 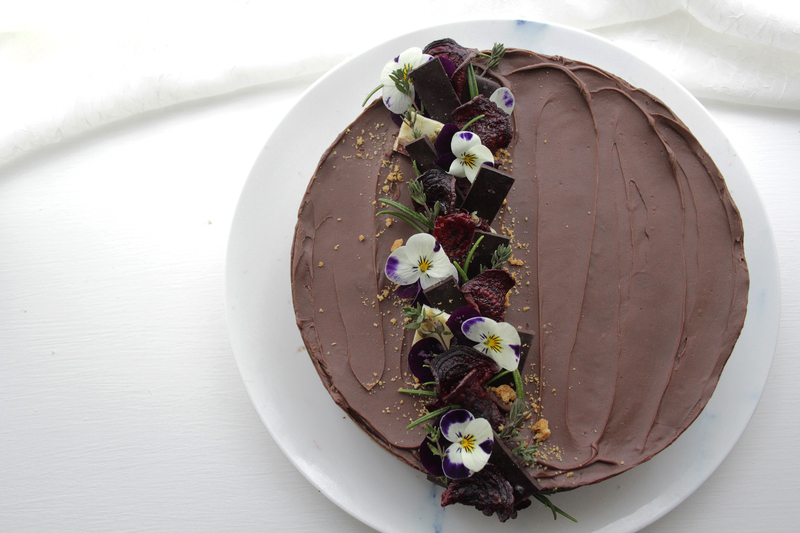 I used some purple violas, handmade beetroot crisps, herbs and chocolate shards.